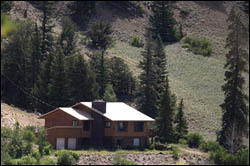 A four bedroom 3½ bath classic ranch house offers the premier self-catered high country home stay. 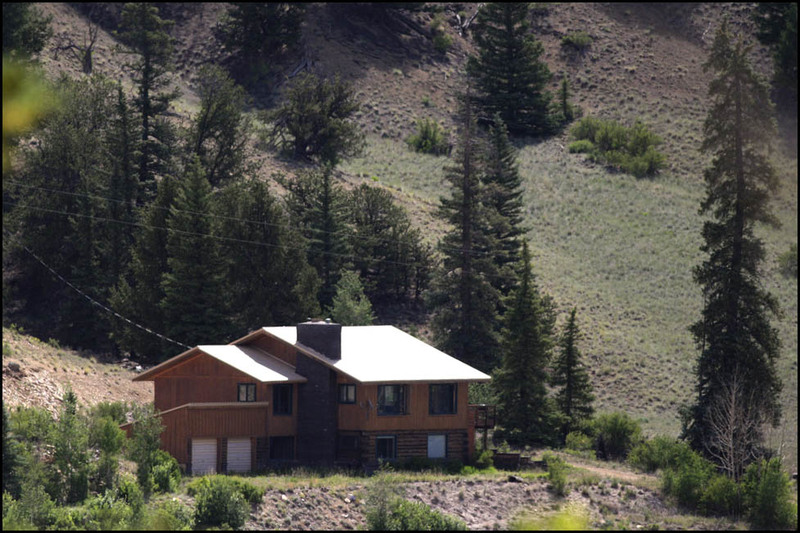 South facing windows make for year-round coziness, passive solar gain, and incredible views of Miners Creek Valley. Master suite includes a king- size Sleep Number Bed and a deep soaking garden tub set in slate mined from the mountain behind the house. Two pragmatic, self-serve kitchens provide ease in preparing your own meals and entertaining large groups. A spa room with a hot tub, sauna, and massage table ensure proper relaxation and rehabilitation after day-long expeditions in the high country. Laundry facilities, premium satellite television, local telephone, and access to a large library of classic VHS and DVD movies are all included. Boat and RV parking permitted. All Inclusive Summer Fly-fishing Package: June 1 – September 30. 1 week exclusive use of cabin and fishery (minimum 2 beats per day on Miners Creek): $2,990.00 / week. Fall Fishing / Hunting Packages: September 1 – November 30. 4 day packages starting at $1,190. *Call us for more information on limited packages including guiding and wildlife permit.